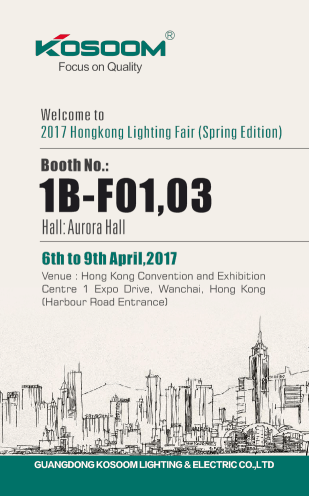 The Spring Hongkong Lighting fair is coming on 6th to 9th April in Hongkong Conference and Exhibition center. 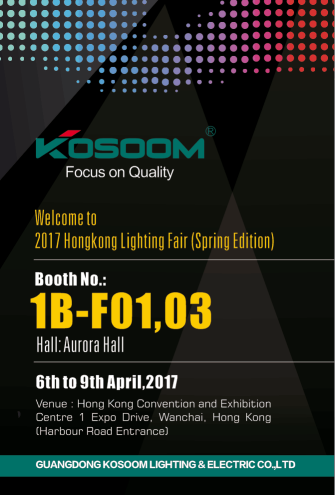 Kosoom will be there with his new range of products during this period at Aurora Hall in 1B-F01,03. Come and visit us, you will get some surprise. Products on show: LED T5 battens, Down light, UFO lamp, T8 tubes & batten, Bulbs, Panel light, Ceiling lamp ect.